When was the last time you did something for the first time? Why not try learning something new? It’s never too late! Enjoy exercising your mind and body. Mix with other people in a fun and relaxed atmosphere. Diane is available to take bookings from clients for a variety of workshops. Are you a company looking for an unusual and stimulating team-building activity? Are you a school or university in need of an exciting workshop that will get children thinking in new ways and even engage parents? Are you an institution wishing to bring hands-on experience of Japanese culture to your members or the wider community? Contact Diane to see what she can provide for you. 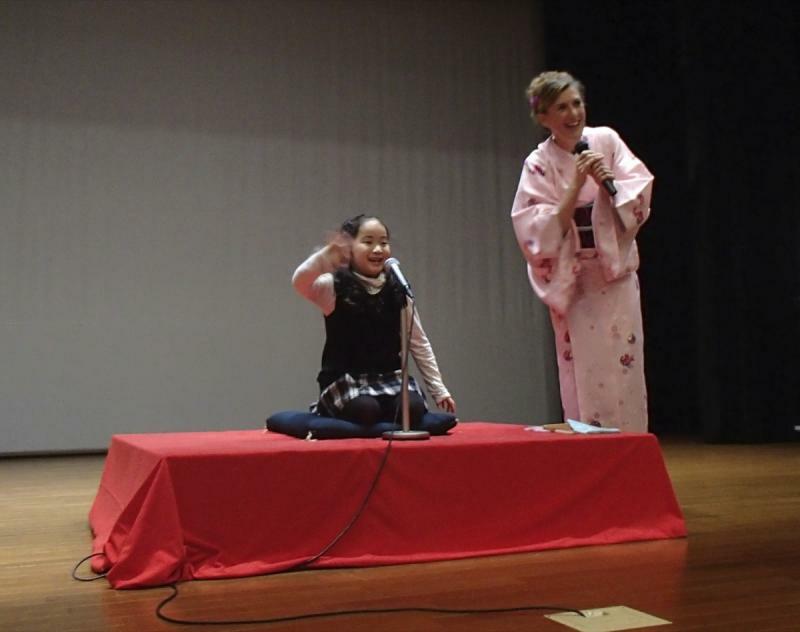 All workshops can be given in a choice of English, Japanese or a combination of both. 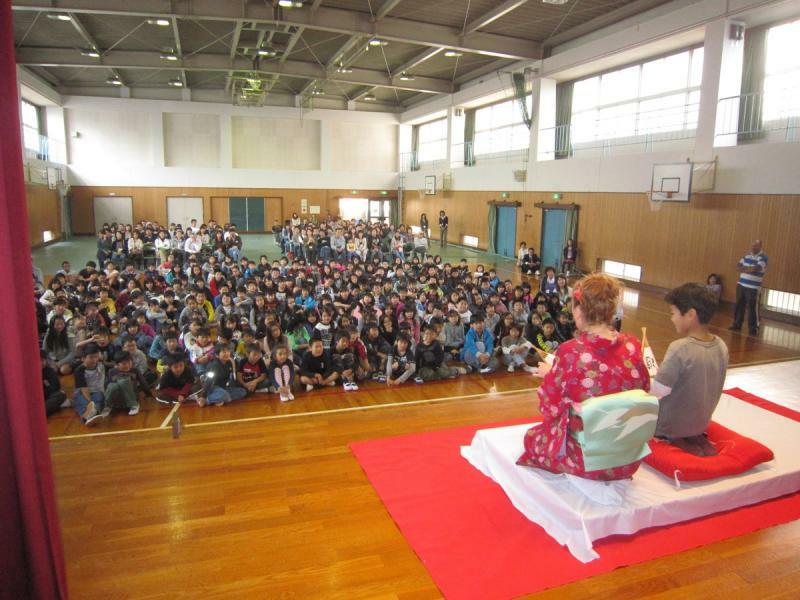 Rakugo - Learn & practice the basics of Rakugo storytelling. 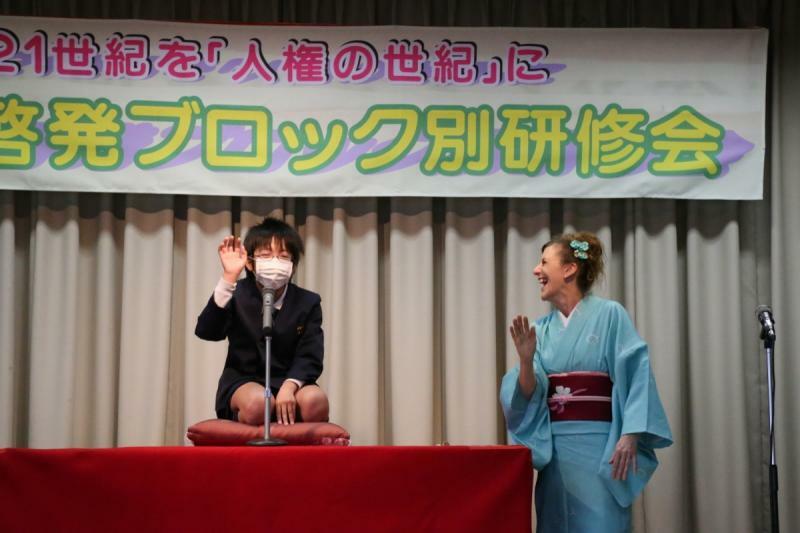 Encounter Japanese culture and build your confidence. 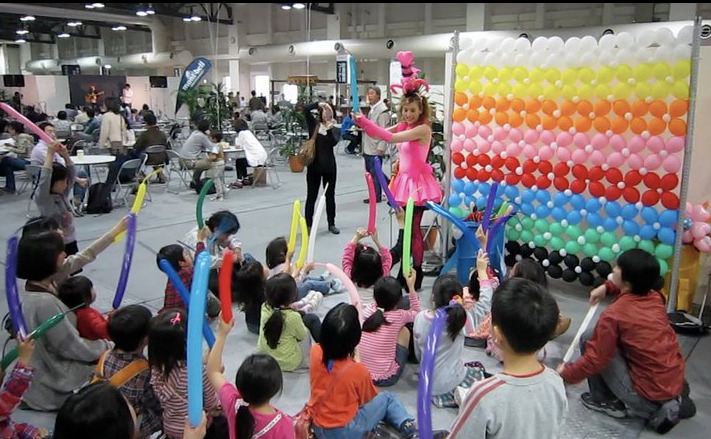 Balloon art - A fun activity for ages from elementary school level to senior citizens. (Kindergarten children can join in with the assistance of adults.) Stimulates the brain and develops motor skills. 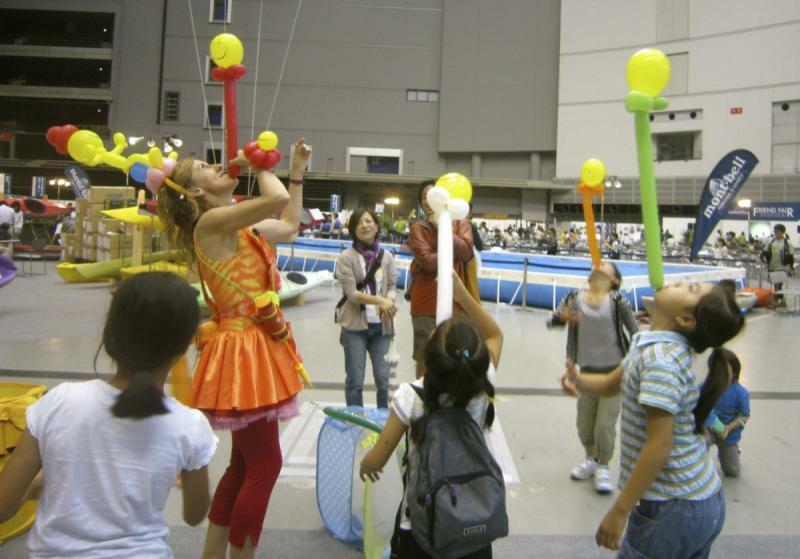 Take home balloon sculptures you made yourself to proudly show to family & friends. Kimono or yukata - Learn the basics of the art of putting on a kimono or yukata (summer kimono). Laughter Yoga - Diane is a qualified teacher of Laughter Yoga. Learn how to reduce stress, enhance health and bring more laughter into your life. Furoshiki - Learn the traditional art of wrapping items using furoshiki (wrapping cloth). Basic ikebana - Learn the basics of traditional Japanese flower arrangement. Improvised theatre games - Interactive exercises for any age group. A fun way to expand the imagination. Children’s interactive English workshops - Have fun learning English, using movement, gestures and mime.